In this tutorial you will learn how to do skype video effects. This requires you to download and install a separate program. Open a web browser, navigate to “http://download.manycam.com/?os=win” and click on the orange button to download Manycam. 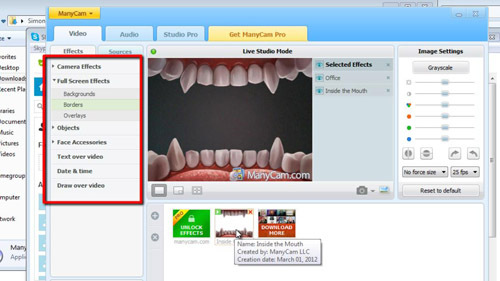 After it downloads, navigate to your “downloads” folder and double click the “ManyCamSetup” icon. Accept all the terms. Manycam opens after installation. Open Skype and sign in using your credentials. In Skype, select “Options…” in the “Tools” menu. In the “Skype – Options” window that opens, click on the “video settings” tab along the left side of the window. 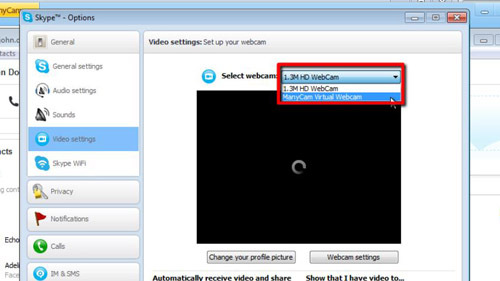 Make sure the “ManyCam Virtual Webcam” is the video camera selected in the “Webcam:” pop-up menu just above your live image. Switch back to the “ManyCam” window. Select the top left tab labeled “Video”, and then the “effects” tab that appears just below the “Video” tab. Select one or more of the many effects from the hierarchical list down the left side of the “ManyCam” window. A preview of the effect will appear in the live view in the middle of the “ManyCam” window. Switch back to Skype, your effect is now present in Skype. This is how to do skype video effects.